It’s Day 6 of our #FlashHacks campaign and we have reached over 2.5 million datapoints. If you are coming to #OKFest14 – we have great news for you! OpenCorporates in partnership with leading open data partners will be putting on three #FlashHacks hack sessions on 16th and 17th July. We will be hosting on three #FlashHacks in partnership with Open Knowledge Foundation Germany, Sunlight Foundation and Code For Africa. #FlashHacks at #OKFest14 // Come join us for some beer, cool tshirts and hacking! Sign up now so we know how much beer to get! The OKF Germany #FlashHack will be releasing German data. Sign up here. The Sunlight Foundation #FlashHack will be releasing political lobbying data. Sign up here. The Code for Africa #FlashHack will be releasing African data. Sign up here. 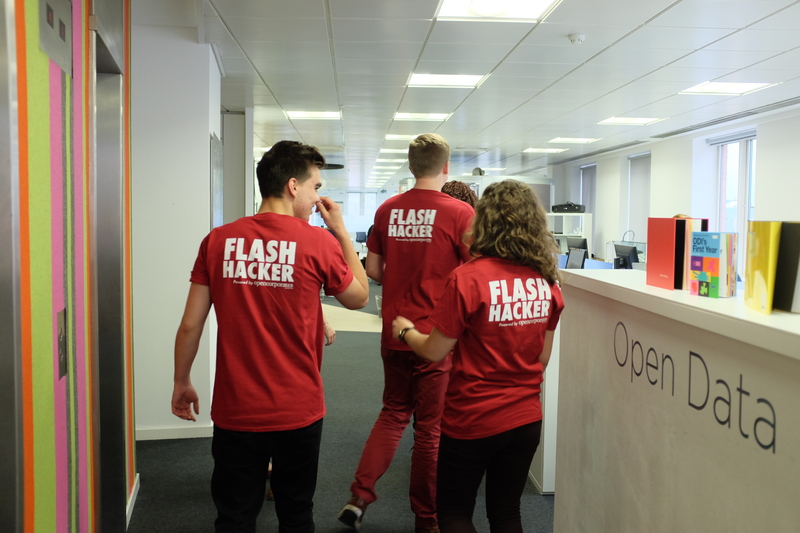 Keep a look out for #FlashHack tshirts and posters around the venue which will tell you where the #FlashHacks will be. You can also keep a lookout for the posters around the venue. I’m not at OKFest. How can I help? The #FlashHacks campaign was launched online on 8th July and since then, many coders have released data by writing bots from homes, offices and cafes around the world. You can join in too! All you have to do is go to missions.opencorporates.com and sign up to a mission! I can’t code but want to be part of #FlashHacks. We hear you! You can still be involved in #FlashHacks by finding and suggesting datasets. If you’re an NGO, researcher or concerned citizen and there is a dataset you think should exist as open data – then suggest it as a mission! It might be liberated in the next 4 days. Let’s smash the 10 million datapoint target together! Sign up to participate online or here to join us at OKFest!